One of my favorite things about following and writing about prospects is how often I get to be wrong. If you’re going to write anything worth reading, sometimes you have to make bold statements or go out on a limb. When you do that, inevitably, sometimes you get burned. 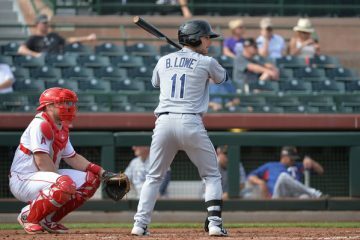 We’re all used to reading columns titled “three sleeper prospects” or “three major busts.” In a few months from now, you can expect to be inundated with “bold predictions I got right/wrong” columns – probably from yours truly as well. But what about the players us “analysts” rank a little too high or too low and follow closely as the season progresses? Those who naturally rise or fall in our eyes as we gain more information? In my experience, sometimes I learn the most about adjusting my outlook on these types of players than my extreme boom-or-bust picks. And with that in mind, I bring you three such prospects who I’m becoming quite fond of now. Heading into the season, I saw several Fantasy analysts ranking Seager among the Top 75 prospect in the game. Quite frankly, I thought they were nuts. I knew scouts were impressed with the bat speed and the hit tool, but I viewed Seager as a non-superstar third baseman four years away from the majors. Five months and 312 plate appearances in Single-A later, both of those assumptions look incorrect. Seager blew through Great Lakes with a 153 wRC+ despite not turning 19 until the end of April, and there’s basically no statistical aspect of his game that leaves you wanting. Seager hit .309/.389/.529 with 12 homers and 9 steals, and his 18.6 K% is more than acceptable given his 10.9 BB% and his power. Seager was recently promoted to High-A, and while it’s too early to draw any conclusions from that stint, he’s clearly on an accelerated track to MLB stardom. I undervalued the plus-hit, plus-power combo here, and even if he moves to third base – which is still likely – he has Top 5 Fantasy potential at that position. I refuse to go too crazy with Seager yet – he won’t crack my offseason Top 25 – but he might not be that far off. I love the upside. Over at my other home at Fire Brand of the AL, I’ve been the low man on Owens for a while. Some have slapped a No. 2 projection on him since last year, but I feel like we bestow that projection upon every lefty over 6’3” who throws 90 mph or harder, so I refrained from joining the bandwagon. They’re going to have to make room for me now, though, as Owens’ statistics and scouting reports this season are forcing me to look at the lean lefty in a new light. Through 104.2 innings in High-A, Owens posted a 10.58 K/9, 4.56 BB/9 and 2.92 ERA (with a 3.31 FIP). The walk rate needs to come down, yes, but missing that many bats will solve a lot of problems, and Owens was good at keeping the ball in the yard as well. Couple those numbers with reports that Owens has put on weight and added a few ticks to his fastball – all while maintaining the deception in his delivery — and that No. 2 projection starts to look a whole lot more reasonable. Now in Double-A, look for Owens to reach the majors in 2015 and expect him to pitch as a No. 3 starter, performing a bit above that in his prime. He’s among the five-or-so best southpaw prospects in the minors. Hey look, a Cardinals player without outstanding tools who’s likely to be an above average major leaguer! Oh goodie, a second baseman who’ll hit for a high average and do little else! How unique! Whereas I had legitimate scouting concerns about Seager and Owens headed into the season, I had no doubts about what Wong was or wasn’t. I just refused to get excited about someone I considered to be a quality Fantasy middle infielder and little more. Yet after a really impressive 2013 campaign in which Wong has hit .298/.363/.455 in Triple-A, I’m ready to change my tune a little bit. No, Wong isn’t a future Top 5 Fantasy second baseman, but he’ going to be a Top 10 option for a long time. His hit tool is plus, he can run enough to swipe 15 bases a year and he should grow into enough pop for 10-plus homers as well. It’s not the sexiest package, but there’s a lot you can do with what essentially amounts to Dustin Pedroia-lite. Wong’s future in St. Louis is a bit muddled by Matt Carpenter’s superhero act, so there’s always a chance he starts 2014 in a different organization. But let’s assume the Cards can sort this logjam out and that Wong gets at least 350 PA in the majors next year – if he’s batting near the top of that lineup, he’s going to score a ton of runs while contributing significantly in AVG and SB and modestly in RBI and HR. Don’t underestimate the value of safety – Wong’s floor is super high, he’s ready now and he’s going to produce solid across-the-board numbers. Replying to a recent post on your website, I am interested in writing for the site. 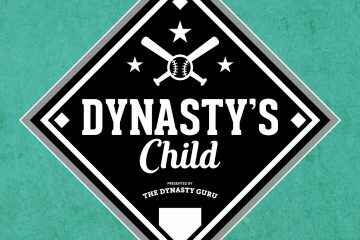 I do not have any of my own work but have been playing fantasy baseball, football, and hockey for many years and I am specifically very interested in dynasty leagues. I would like to try the assignment you referred for non-experienced writers, and give it a shot. Why don’t you do what he said to do and email him then?